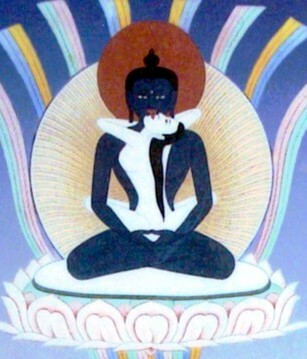 Samantabhadra (Skt. ; Tib. ཀུན་ཏུ་བཟང་པོ་, Kuntu Zangpo; Wyl. kun tu bzang po) — In the Dzogchen teachings, our true nature, that state of the Ground, is given the name the 'Primordial Buddha'. Sogyal Rinpoche writes, "[Kuntuzangpo] represents the absolute, naked, sky-like primordial purity of the nature of our mind". The Dzogchen Ponlop Rinpoche, Penetrating Wisdom: The Aspiration of Samantabhadra, (Ithaca: Snow Lion Publications, 2006), pages 33-37. ↑ The Tibetan Book of Living and Dying, page 106. This page was last edited on 29 January 2018, at 20:37.